Shepton Beauchamp Church of England First School, Somerset. 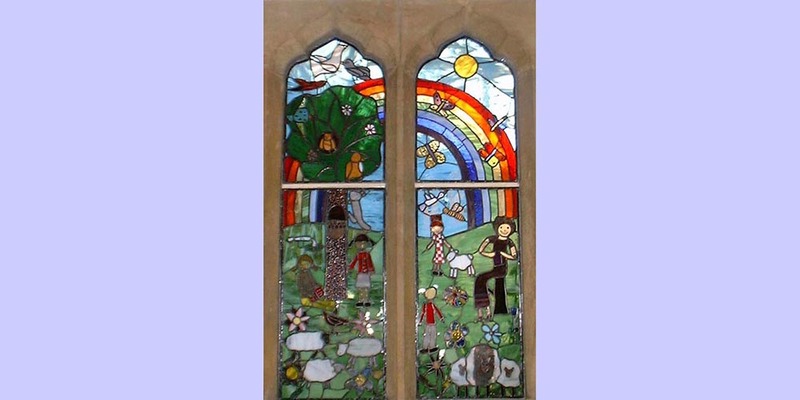 The window was commissioned in memory of Andree A’Court, a much-loved member of staff. The children particularly valued her help with teaching them to read. They were keen to include the school emblem - a cartoon sheep.